Once the ships had docked at their respective berths, all three ships began the process of disembarking passengers from the voyages they had just completed and embarking passengers for their next voyages. 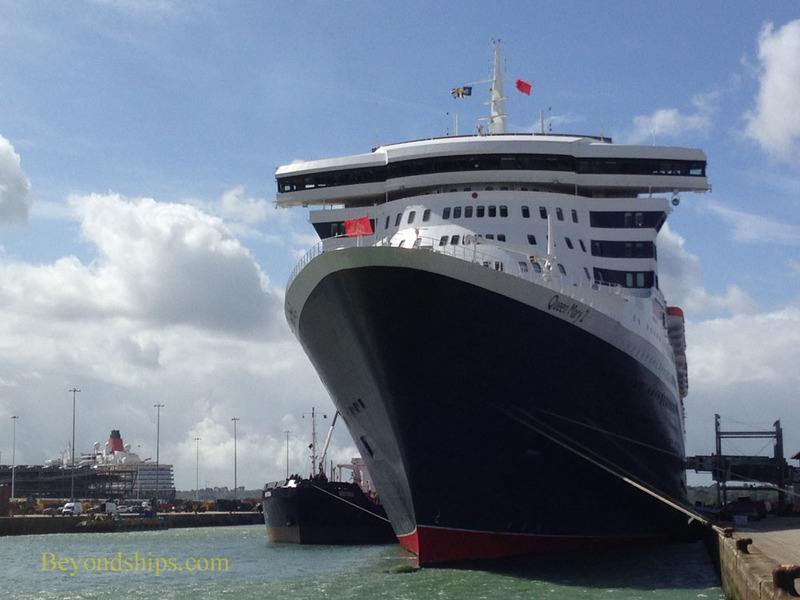 However, at the same time the celebration continued on Queen Mary 2 in royal style. 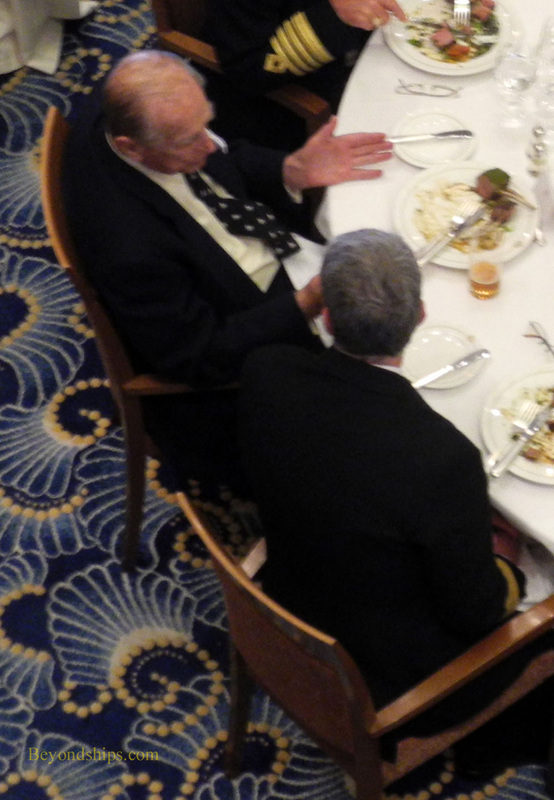 The Duke of Edinburgh talks with Captain Kevin Oprey of Queen Mary 2. Prince Phillip, the Duke of Edinburgh, visited Queen Mary 2 in the afternoon. 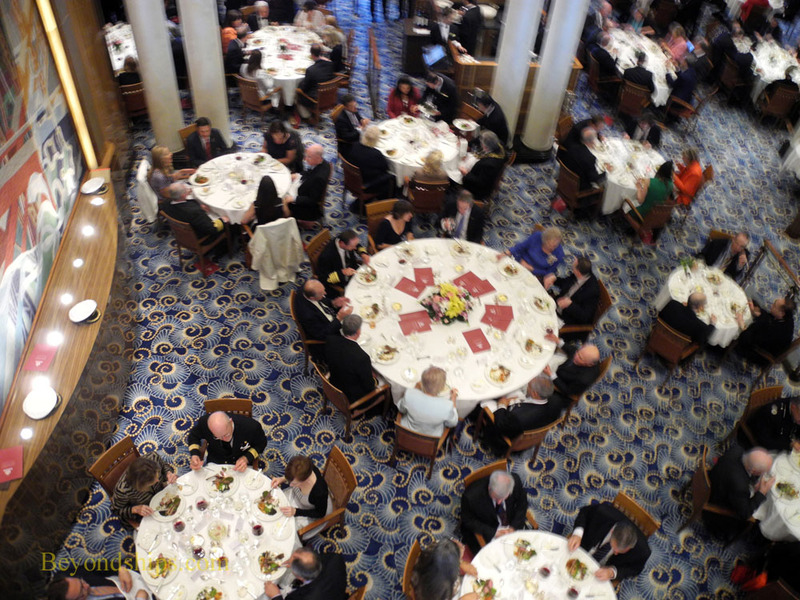 After a tour of the ship, the Duke attended a VIP luncheon in the Britannia Restaurant. 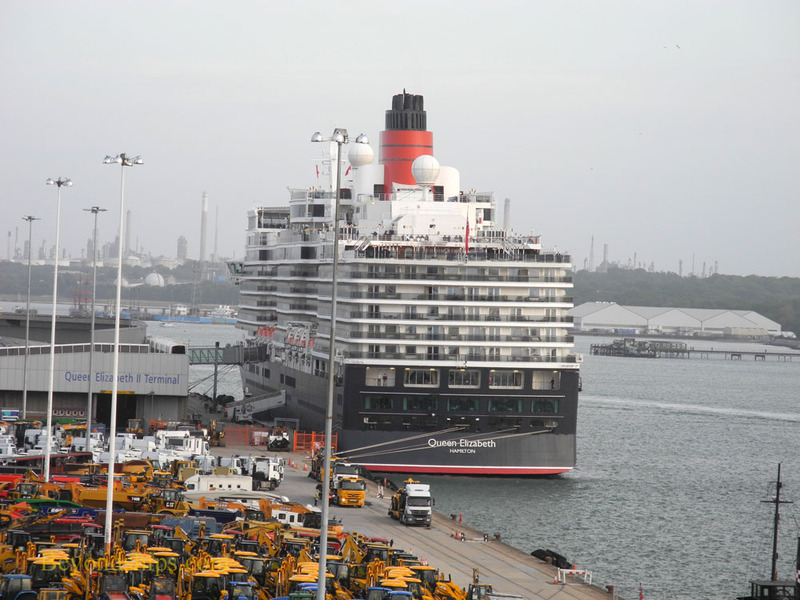 Cunard CEO David Dingle recalled: "He is at home on ships. Remember, he started his career in the Royal Navy and it was only very recently that he stepped down as the master of Trinity House. When he was on the ship, he was absolutely at home. The people he wanted to see were the officers and the crew. We took him to the laundry and the crew bar. He was absolutely having a fabulous time." The Welsh Guards is a British Army unit closely associated with royalty. In fact, they are one of the regiments whose regular duties include guarding royal residences such as Buckingham Palace and Windsor Castle. (See separate article). Later in the afternoon of the Queen Mary 2 celebration, the Band of the Welsh Guards performed a concert in QM2's Royal Court Theatre. Queen Elizabeth at the Queen Elizabeth II Terminal during the afternoon. Click here for an interview with Cunard's CEO, Queen Mary 2's first commander and the designer of QM2 on the significance of QM2's 10th anniversary.